Cyclops sp., copyright David Nicholls. Cyclops is a cosmopolitan genus of freshwater copepods characterised by well-defined, angular epimeres on the anterior segments of the body, giving the sides a more or less jagged appearance, and a rudimentary last pair of legs (Sars 1913a). Characters (from Sars 1913a): Anterior division of body moderately tumid, generally more tapered behind than in front; lateral parts of three anterior trunk segments well defined, sub-angular behind; last trunk segment more or less produced laterally. Tail slender and attenuated, genital segment in female more or less dilated in front. Anterior antennae of varying length, more generally composed of 17 well defined joints, though in some cases, by concrescence, their number may be considerably reduced; those in male strongly hinged, with terminal section distinctly biarticulate. Posterior antennae with all 4 joints well defined, the 1st carrying at the end posteriorly a long ciliated seta. Rudimentary palp of mandibles carrying 2 very long and densely plumose setae accompanied by a short bristle. Maxillary palp scarcely extending beyond masticatory lobe, provided outside near base with 4 ciliated setae, 3 of which issue from a slight expansion of the margin. Anterior maxillipeds moderately strong, with 1st basal joint generally subdivided in the middle, provided anteriorly with a small rounded lobe carrying 2 plumose setae; digitiform lobe issuing from end of this joint anteriorly comparatively small, with none of the setae unguiform. Posterior maxillipeds much more slender, composed of 4 well-defined joints. Natatory legs with both rami generally 3-articulate, though in some cases, by an imperfect separation of the 2 outer joints, one or other of them, or all, may be only biarticulate; inner ramus of 4th pair with 2 apical spines. Last pair of legs very small, generally not extended laterally, composed of 2 joints, the proximal of which in some cases may be coalesced with the corresponding segment, distal joint not expanded, and carrying a slender apical seta and a short lateral spine. Seminal receptacle in female of comparatively simple structure, being generally transversely oval in shape. [E75] Einsle, U. 1975. Revision der Gattuung Cyclops s. str. speziell der abyssorum-Gruppe. Memorie dell’Istituto Italiano di Idrobiologia 32: 57–219. [L02] Latreille, P. A. 1802b. Histoire Naturelle, générale et particulière des crustacés et des insectes vol. 4. Familles naturelles des genres. F. Dufart: Paris. [S13a] Sars, G. O. 1913a. An Account of the Crustacea of Norway with short descriptions and figures of all the species vol. 6. Copepoda. Cyclopoida pts 1–2. Oithonidae, Cyclopinidae, Cyclopidae (part). Bergen Museum: Bergen. [S13b] Sars, G. O. 1913b. An Account of the Crustacea of Norway with short descriptions and figures of all the species vol. 6. Copepoda. Cyclopoida pts 3–4. Cyclopidae (continued). Bergen Museum: Bergen. [S18] Sars, G. O. 1918. An Account of the Crustacea of Norway with short descriptions and figures of all the species vol. 6. 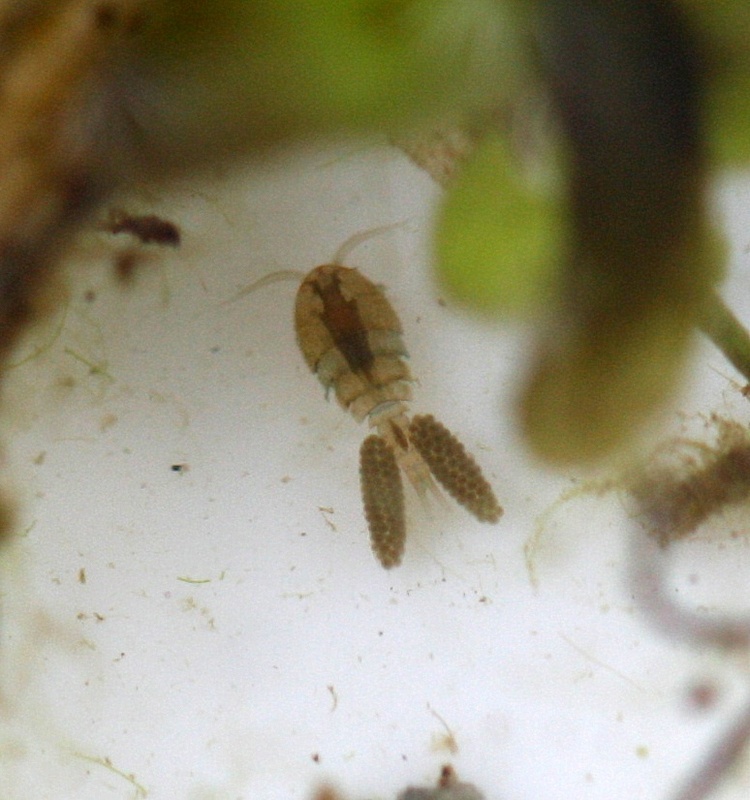 Copepoda. Cyclopoida pts 11–12. Lichomolgidae (concluded), Oncaeidae, Corycaeidae, Ergasilidae, Clausiidae, Eunicicolidae, supplement. Bergen Museum: Bergen.